After numerous UK tours the critically acclaimed, multi-award winning JOAN makes its Australian debut. An earthy story of courage and conviction, this is Joan of Arc. Performed by drag king champion Lucy Jane Parkinson, history's greatest gender-warrior takes to the stage, dragging up as the men she defies. Packed with guts and heart JOAN is the latest daring fusion of lyrical new writing and cabaret prowess from award winning UK theatre company Milk Presents. A fearless solo play, with uproarious songs, about what it means to stand out, stand up and stand alone. Winner of the Scotsman Fringe First, Stage and Spirit of the Fringe Awards 2016. 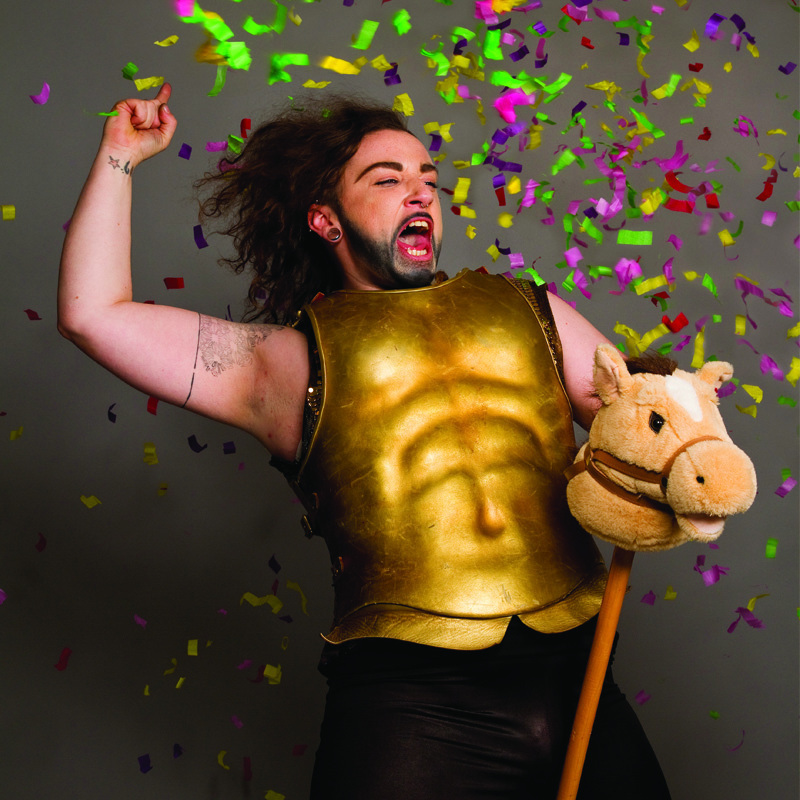 Milk Presents are an award-winning UK theatre company who shift perceptions of gender and identity through queer disruption, celebration and performance. Productions include: Bluebeard: A Fairytale for Adults, A Real Man's Guide to Sainthood, Milk Presents: Self Service, JOAN and BULLISH. Milk Presents are an associate company of Derby Theatre and The Bush Theatre, London. The company was founded in 2010 by Ruby Glaskin, Adam Robertson and Lucy J Skilbeck. Milk Presents have produced work with the valuable support of organisations including Camden People's Theatre, Battersea Arts Centre, Oval House, The Point Eastleigh, The Place, Camden People's Theatre, Theatre Poton Slovakia, BBC Legcay Fund and Arts Council England.